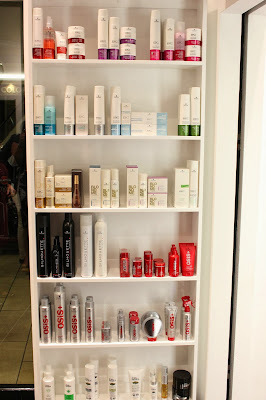 A few weeks ago I had the pleasure of being invited to the Dean Gera Hair Salon launch party at The Point. If you haven't seen the salon before, it's located right next to (and connected to) MakeUp Store on the lower level of The Point shopping centre. 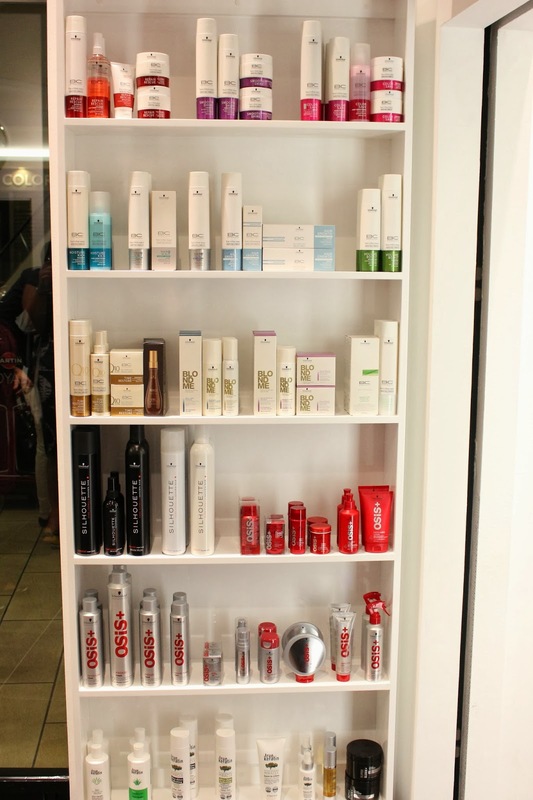 The salon is small, giving you that personal feeling. We got to meet Dean Gera himself on the evening and he was such a lovely chap, just the type of person you want to do your hair and make you feel pretty! But with the minimalistic design and plenty of mirrors the salon it has a very hip and trendy feel to it, which personally makes me feel a little better - If they take care of the presentation on the shop, they are going to care about how you look as well. 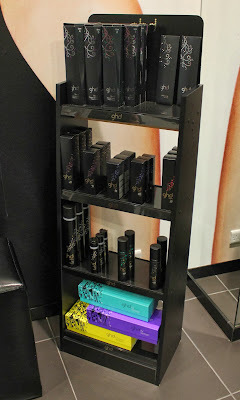 The salon also stocks all the latest GHD, Schwarzkopf as well as many other brands. 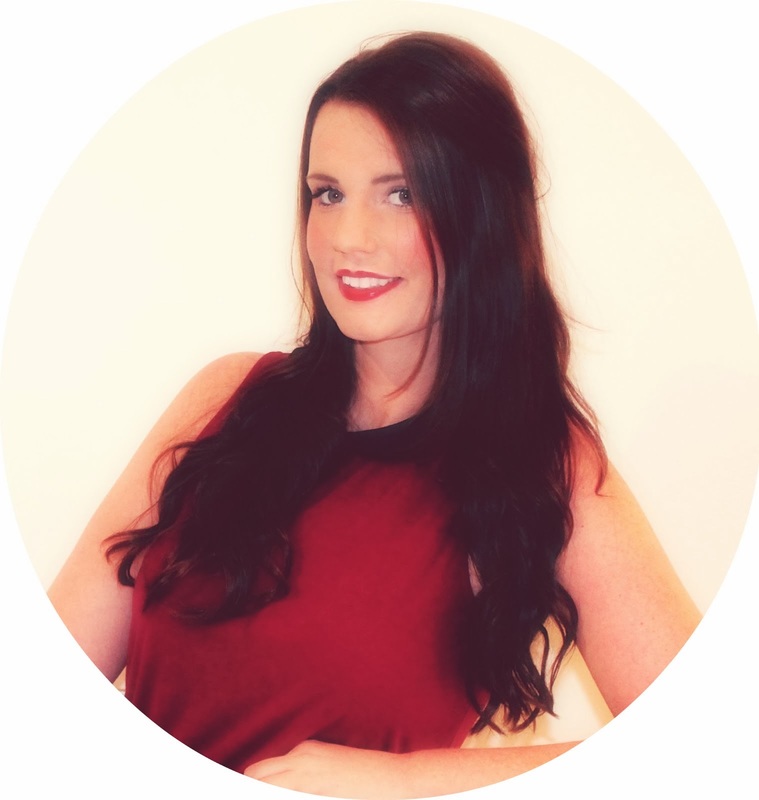 Prices are very reasonable and start from just €10 for a blow dray, and €20 for a women's cut. I also like how you can pay a little extra to have the director to do your hair.They also over extensions services as well as straightening. With the salon recently launch right next to Make Up Store (you can walk between the two stores), you can be whisked away to have your make up applied by the pros next door! Think of a colour and Make Up Store will have it! Every time I visit Make Up Store I'm like a kid in a candy shop, there are loads of different colours and textures and finishes everywhere. One of favourite parts of the shop is the these little glitter pots & rhinestones. I've probably mentioned before, I'm not a glitter type of person I'm a very plain jane, but I can't help getting drawn to these little pots of magic every time I'm in the store, they just look so pretty! One day I'll buy some, but I'm first trying to find an excuse or occasion to wear some of them. While I was at the NYX Cosmetics event a few weeks ago, one of the items I picked up was this nail polish in the shade Gemma. Gemma is a beautiful bright pink neon shade, normally I don't normally go for neons but this shade caught my eye. Like most bright colours I buy I intend to wear them when I'm golden brown (a tan makes everything look better right?) yet 6 years of living in the sun and I'm still milk bottle white! So I either need to spend some more time outside our slather on the fake tan. However I think this shade would be fine with my skin tone but it's perfect to pick up for a holiday. This shade is very well pigmented, the swatches above is just one coat! I love the packaging, the square bottle make them easy to line up. The brush is easy to hold and applies effortlessly. NYX have such an amazing range of polish shades - What's your favourite? Malta has come on leaps and bounds in the last year or so. As an expat living on the Island is exciting when UK brands (or any brands for that matter) open up their boundaries and recognise the there are people in Malta who want to buy their products. So when I found out that one of my favourite ships - Selfridges are now shipping to Malta I couldn't be happier....although my bank balance won't be! Shipping to Malta is priced £15. Standard UK shipping is £5, which is basically hand delivered in branded packaging, so while some companies ship for free, I'm personally happy to pay a little extra to know my items will be safe, because let face it you can't just spend £10 in Selfridges! Not all items online can be shipped due to certain restrictions (sorry girls no MAC cosmetics), but you can refine your search by international delivery on the side bar like this... That will make shopping a lot easier. A few weeks ago, just before the NYX store opened, my usual Chanel Eye makeup remover ran out so on the opening day I thought I would try the NYX version. I hadn't heard anything about it before, it was just an impulse buy. I needed it - they had it! I wouldn't say I have sensitive skin, but some eye make up removers just sting and almost blind me! So when I found the Chanel one, it was gentle but did a great job and I repurchased it, but 27 Euros is a lot for an eye makeup remover! Anyway back to NYX..... I'm so impressed with this product! I love it. I have to say it is just as good as Chanel for me. It's very light and gentle, and in no way oily or greasy and does and amazing job of removing my eye make up. When I picked it up, there wasn't a price and when I checked my receipt I saw it was 12 Euros...I thought "Wow that's quite a lot for an 80ml bottle"...and hoping it would be "ok". But now I'm actually be using the product daily, I will definitely be repurchasing this again. It really is worth the price, and you only need a little bit. One cotton pad will happily do both my eyes and this bottle will last me months. If you are looking for a gentle but good eye make up remover that is worth its money, I would recommend purchasing this. They say you shouldn't care about the numbers, but I think every blogger is happy when they reach a milestone. So as a little thank you for reaching 250 Bloglovin' followers I wanted to give you something back..
A pair of Shu Uemura eyelash curlers! To win the Shu Uemura eyelash curlers, just follow the instructions below. You lot come from all over the world so this giveaway will be open internationally! Like probably most women, I have tins of Vaseline stored in random place, however not on purpose that's just how life is. I find them in handbags that I haven't used in months, suitcases, my desk drawer, in the car....sometimes I think they are breeding! Vaseline have just launched their new limited edition "Paint The Town Red" Lip tint and this will also be joining my collection of pink champagne, Rosey Lips and Aloe Vera tins. Paint The Town Red will give your lips a subtle red tint, perfect for those office to bar evenings (or for a quick touch up when you spot your crush!). It is also spiced berry flavour which I love the smell of since winter is quickly approaching. There is something about winter and red lips that I love. Vaseline Paint the town red lip therapy is available exclusively from Selfridges priced £3.49, so if you're in store make sure to pop one in your basket or if like me the internet allows you to shop whenever you like, you can also purchase this online here. Where is the strangest place you've found your Vaseline? In my last few posts I talked about my rekindled love of The Body Shop products, and it hasn't stopped. Last time I was in store just having a browse and of course I saw something I "had" to have and completely justified it to myself. In the past when it's come to body lotions I've been quite lazy. My hands get messy, it takes ages to dry and that's why I have a stash of perfume scented body lotions sitting at the back of my cupboard that has came in Christmas gift sets. So while browsing I came across this body milk spray...and thought "Oh a spray...that would make my life easier!" so in my basket it went. The last few months I've been good and going to the gyms in the mornings before work so I've been taking this with me to use after my shower. Time is of the essence for me in the morning....it's a constant struggle of getting enough sleep, yet having enough time for my works and swim AND making into work on time. If one doesn't happen I'm totally thrown off for most of the day! Anyway, The Body Shop Body Milk is really easy to use, just a quick few squirts all over then rub it in and I'm ready to go. The formula is non-greasy, light and soaks beautifully into the skin not to mention that it smells amazing. I'm literally done head to toe in minutes....now that's my kind of morning product! I have a mountain of beauty products and I feel like I never make a dent in the pile so I thought I'd start doing monthly videos with the products I've used up to keep track of what I'm using. Still getting a hang of this editing and filming malarky, so bare with me for now. They'll get better - promise! Make sure you subcribe and I'll be making videos that I won't post on here. I bought these 3 eyeshadows a while ago on a whim. My other half was back in the UK and popped into MAC and called me and said "I'm in MAC, what do you want?". So on impulse and feeling adventurous I picked some beautiful and vibrant colours from the website and texted him my "order". I picked Electric Eel, Atlantic blue and Vibrant Grape. When I actually got them I put them to the side for a while and kept meaning to test them and write about them but never got round to until recently. Now I love the colours and I was looking forward to experimenting with them, but as soon as I swatched them I couldn't help but feel a little deflated. All the MAC eyeshadows I own are normally well pigmented but as you can see from the photo above Atlantic Blue and Vibrant Grape aren't that pigmented. Electirc Eel is lovely and vibrant but I can't help but feeling a little let down by the other shades. I was imaging creating a striking look with these colours. They won't go to waste and I'll still use them of course, but I wanted to share them with you as they are such beautiful colours still. Do you own these shades? How do you find them?